· Employee clicks the top menu “Employee->Add/View My Leave Request”. · Employee clicks the Request Leave button to enter leave request details. Then save it. The current status of this request is PENDING. Step 2: HR manager approves request. · Select this request from list, then click the Edit button to view request details. You can approve or deny or modify employee’s request on this screen. Admin can generate leave report for employee by clicking the top menu “Administrator->Reports” to generate employee leave report. The Employee Attendance Tracking Software is a system that has various advantages which include but is not limited to; its affordability, ease of maintenance, accountability, efficacy and ease of payroll processing. This program has been used by many organizations and has proved to be relevant. It is therefore recommended that each enterprise or firm should utilize this software to enjoy the benefits of low operating and service costs. The affordability of this system is in its small initial investment. To be precise its initial and maintenance capital is low. The system is almost half the cost of most automatic machines. Moreover, there are no extra tools to buy like in the case of most machines. It thus posses to be inexpensive. Its ease of maintenance is due to the fact that it is not divided into many components. There is therefore no need for replacement, servicing or support costs as they are not incurred. It only needs a comprehensive support program to ensure a long term operation and function. This system is different from other ordinary machines as it has no workings such as gears, motors or other components that wear and tear. The program would not lose its function unexpectedly and there will be no day that you will have to refer it to a mechanic. The use of time cards helps to enhance its accountability. Every worker will be accountable for the actions that one will take. No blame will thus be shifted from a worker to another. Cheating will also be minimal as everyone is answerable. Employers would therefore not have a hard time in coordination and supervision of their staff. Time cards also work in favor to both business owners and workers. It protects business owners by helping them identify the numbers of hours that their staff have actually said they did. On the other hand, it protects the staff because they can identify the number of hours they have worked thus making it hard for their employers to cheat them out of their remuneration package. This system also helps to maintain efficacy in a business. It even detects time management in an orderly manner. The program registers who is in and who is not in real time. Moreover, less paper work is required therefore reducing storage space and outlay. This system provides management with access and adequate knowledge of each member of staff in their organization. It thus runs the firm in an effective and efficient manner. Payroll processing is also simple as its paycheck is not complicated. The time cards reports submit an application to your firm payroll rules and regulations to instantaneously sum normal hours and overtime. Entries that have been modified are tracked for easy monitoring and evaluation. Time spent totaling, reading and detecting payroll rules to manual time cards can be practically reduced or even eliminated. 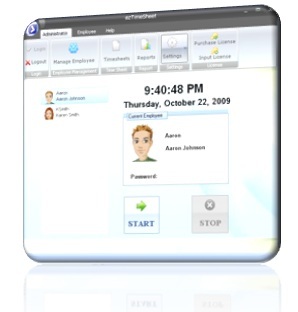 Employee Attendance Tracking Software is thus an important system that has proved to be vital to many organizations. One such software that comes highly recommended by many small-business owners is ezTimeSheet employee attendance and time tracking software, which automates employee time, PTO, sick and vacation tracking tasks, and frees up managers’ time for more important tasks. Employee attendance tracking shouldn't be a nightmare for employers. How to set up employee attendance tracker over network? Employee attendance tracking shouldn't be a nightmare for employers. Small business software provider, EzTimeSheet employee attendance tracking software automates employee time-tracking tasks and frees up managers’ time for more important tasks. 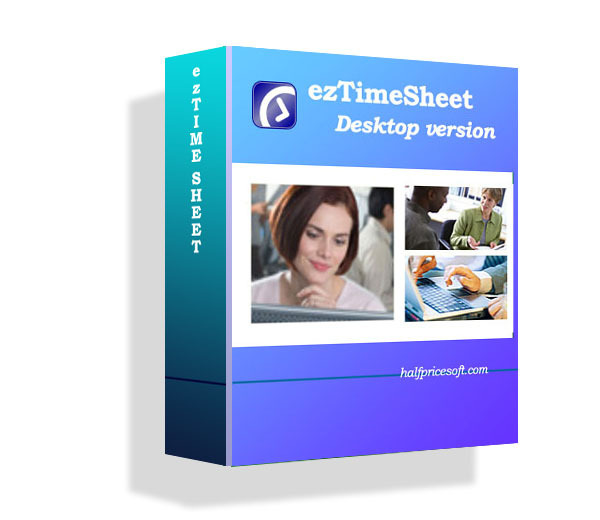 You can install ezTimeSheet on a stand-alone machine and use it as Time-Clock software. Or you can installed it on multiple machines and share the same database over network. Here is the instruction how to set up network database when using ezTimeSheet Employee attendance tracking software. Step 1: Install ezTimeSheet on your first machine (or server). Step 2: Start ezTimeSheet. You can click the top menu "settings->Manage Database" to open Manange Database screen to view your current database path. Step 3: (optional) Click "Backup Current Database" button to copy your current database to a network location. Step 4: (optional): Then set up the database path to this new location. For the 2nd machine, 3rd machine.. Install ezTimeSheet then repeat step 3. Then all users will share the same database file over network. Automating employee attendance management processes and slashing the time it takes to run payroll is now easy and affordable for small businesses with ezTimeSheet, the PC time clock software designed specifically for small business owners and HR department managers. And the newly released update version is more powerful and user-friendly than ever. This update is the software developer's response to customers' requests for increased reporting options. The new edition include more flexible edit function, permission control, report feature and timesheet lock/unlock features, which will save user’s time in payroll processing and tax reporting filing. User can download this new version free from http://www.halfpricesoft.com/time-tracking-time-sheet-download.asp, with no cost and no obligation. With ezTimeSheet, the tedious chore of calculating and managing employee time and attendance no longer needs to be a concern for small business owners and busy human resources managers. Advantages provided by ezTimeSheet include . . . Reduced payroll costs - ezTimeSheet eliminates overpayment on payroll by automatically checking for duplicate and overlapping time entries. Frees up time by automating time-tracking tasks - Once employee information is set up, including pay rates, ezTimeSheet time tracker automatically calculates each employee’s regular work hours and overtime hours, producing payroll-ready data that can easily be exported for use with other software, including both ezPaycheck and ezCheckPrinting from Halfpricesoft.com. Easy to use and learn - ezTimeSheet’s graphical interface is highly intuitive and guides users through each process step by step. Most small businesses are ready to start tracking employee time in less than an hour (actual time depends on the number of employees), even for users with no accounting or computer skills.